Now THIS is how you make a sequel. 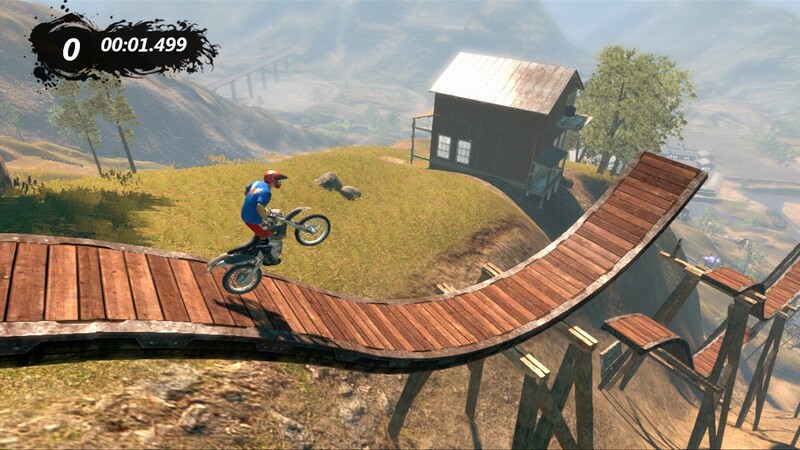 Trials Evolution takes everything that made its predecessor, Trials HD, so great but increases it tenfold. The same physics-based motorcycle platforming gameplay returns, but now it is sharper than ever with more refined controls and a larger variety in environments. While Trials HD put you squarely in abandoned warehouses with little differences visually, Evolution gives you the great outdoors. The vast majority of the game’s levels take place outside, showing bright blue skies, vivid scenery and huge dirt hills (among other obstacles). The tracks are also much more spacious than before, as no longer do you feel contained to a single, tiny line. It’s quite the contrast from before, and the new environments really help give the game a brand new look. There are even levels where the camera rotates as you approach a twist in the track, something once unheard of. This doesn’t feel like a rehashed Trials HD; this feels like a brand new game. A different campaign progression system is in place. This time around, tracks are unlocked after earning a certain amount of medals. Gold medals are worth three points, silver two, and bronze one. It takes 135 points to unlock the notoriously brutal ‘Extreme’ tracks, so perfecting some of the easier levels is a must. Technically, unlocking ‘Extreme’ is considered beating the game, but any Trials veteran knows this is hardly the case. This is a game that is infinitely replayable since there is always the ability to improve upon your race times, and also to attempt to beat your friends (or those on the leaderboard). 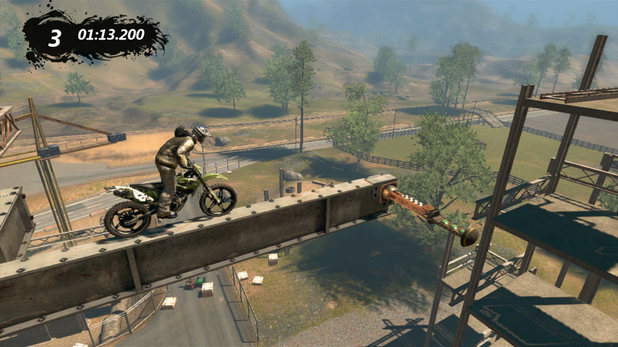 Brand new to Trials Evolution is the addition of a multiplayer mode. This adds even more replay value, as now you can race against others online, either visibly on the same track or against their “ghost” forms. Matchmaking is still a little rough at spots, but it is a blast when you get a good group of people playing. Just a heads up, though: there are A LOT of great players online, enough to potentially make you feel bad about your skills (even if you are really good as well). Another killer improvement is the revamped user creation system. The level editor is loaded with features, and the sky is pretty much the limit when it comes to what you can do. Perhaps most welcome is the addition of a more useful sharing system. Now you don’t have to send created tracks from peer-to-peer — they can be downloaded via a main portal instead. It’s easier than ever to find/share new content. 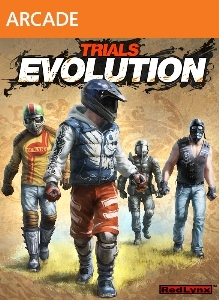 The bottom line is that Trials Evolution is an improvement in every sense of the word, and it is one of the best sequels I have ever played. Fans of the original absolutely must play this, and anyone interested in racing, platforming and/or physics puzzlers should give this a shot. Don’t let the dirtbikes and godawful rap metal music throw you off — this is a very well-made game that is more than worth its $15 price tag. hmmm I enjoyed the first one, even though I was not very good at it. I will try to grab this on sale at some point. Right now I am too busy playing Borderlands and Minecraft. It might be a while before this goes on sale since it already shattered a bunch of sales records, but it’s definitely worth checking out. A huge improvement over the original, which I loved.